The device, which will run on both Windows 8 and Android JellyBean operating system, will be available for consumers in early February. Homegrown handset maker Micromax on Monday unveiled its latest tablet 'LapTab', which will run on both Windows 8 and Android JellyBean operating system. The device, which was unveiled at the ongoing Consumer Electronics Show in Las Vegas, will be available for consumers in early February. "The Intel-powered LapTab is the first dual-boot Windows and Android tablet. The device is aptly designed for multitasking across operating platforms and users would need to simply reboot the device and select the alternate option to switch from Windows to Android and vice versa," Micromax said. The device is powered by 1.46GHz Intel Celeron processor and has a 10.1-inch IPS display. It comes with 2GB RAM, 7400 mAh battery, 2MP front camera with light sensor and wireless keyboard. With storage of 32 GB expandable up to 64 GB, the tablet also supports Bluetooth v4.0 and Wi-Fi. "Over the past few years, we have been witnessing a growing trend of increasing consumer demand for two operating systems in one device, which offers a blend of great PC like productivity in a tablet like form factor for seamless consumption," Micromax co-founder Rahul Sharma said. Combining functionality and style, the LapTab further builds on the promise to constantly empower our users with superior technology that directly addresses their needs, he added. 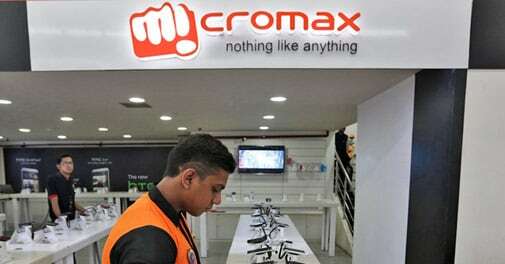 "We would be unveiling an array of innovative products across international markets in next six months for which Micromax is known for," Sharma said. The LapTab comes with a transleeve which can be combined as a cover and stand for the wireless keyboard. Consumers will also have an option to buy a customised keyboard for LapTab when it hits the stands.